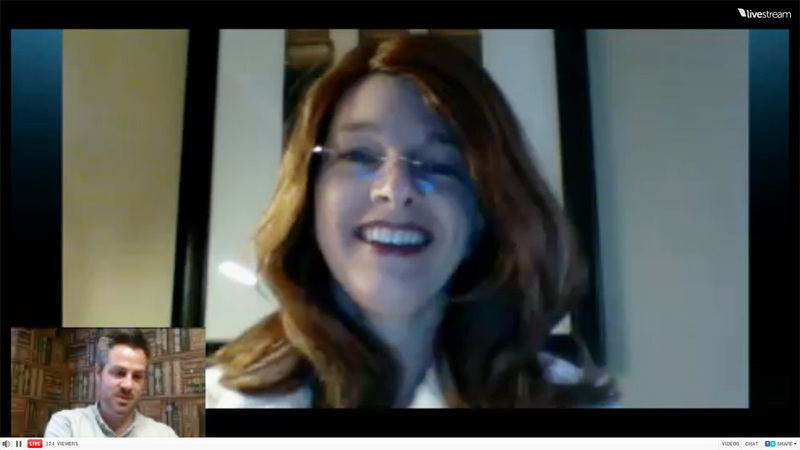 One of my favorite authors, Kim Harrison, did a live video chat on Livestream via the Goodreads community. If you’re not familiar with Ms. Harrison’s work, she’s mostly known in the dark urban fantasy community for her The Hollows series, starring badass witch Rachel Morgan. Recently, Harrison hit the road on tour for her newest addition to the series, Ever After, which is the eleventh installment to the series and was released on January 22nd (my own personal copy is still sitting in the cardboard box it was delivered on days after it released — I’m not allowed to touch it until I finish the latest book I’m reviewing for Literophilia!). As a fan of the series, I was thrilled to hear her answer some questions about my favorite characters and about what’s next for the series. As always, with Goodreads, she was asked about her own favorite authors. And, always interesting for me as a writer, she talked about some of her writing methods and gave her own advice for new authors everywhere. After the jump, read more about the interview and where you can watch it yourself! Hosted by Community Manager Patrick Brown, Goodreads Live is an ongoing series in which Goodreads interviews best-selling authors as well as taking questions from the Goodreads community. In a nutshell, I would say write like you’ve already got the contract. Which means intently and with purpose. Set a deadline for yourself. When you’re writing a rough draft: when you finish a chapter, don’t ever open it back up again. If you find you need to change something about that chapter, just write it in the margin and then continue on as if you’ve already made those changes. Otherwise, you will keep re-writing the same twenty pages all week! If you’re writing and producing already, get yourself in a writer’s critique group where you can share and find other authors who could possibly open some doors for you. It’s important to learn how to share your work with other people, because that’s what you do when you get published: you share it, you edit it, you tailor it — it’s a business. After that, start going to writer conferences where editors and agents go to meet new talent. It’s much better to meet an editor. Shake their hand, [so that] they can see how enthusiastic you are. They’re more inclined to look at [your manuscript] than if it just lands on their desk in the slush pile. The last book in the Hollows series (number thirteen) is slated for some time in 2015 — so if you’re new to the series, you have plenty of time to catch up! Click here to watch Kim’s interview on Livestream!